Hello, lovelies! 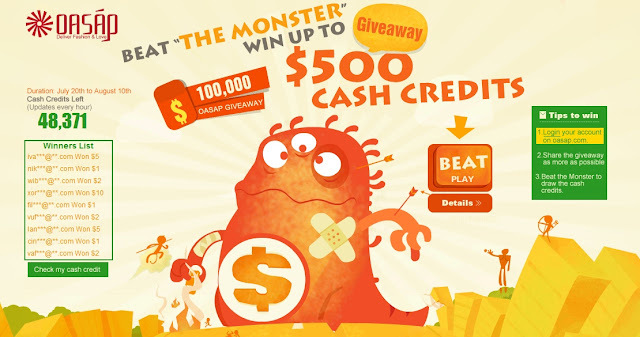 Join the OASAP latest giveaway HERE and win up to $500 cash credits! Login your account on oasap.com. No account yet? Register to get a 20% off coupon code. Go HERE and simply beat the monster to draw cash credits! Cash credits you won will be funded to your account automatically. The credits you won from OASAP $100,000 giveaway expires on August 31st.